Name : Giga Mario Bros.
Wow! 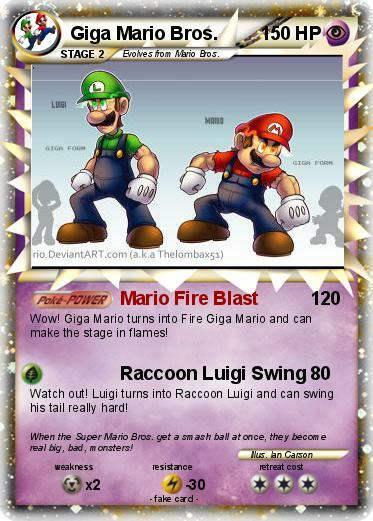 Giga Mario turns into Fire Giga Mario and can make the stage in flames! Watch out! Luigi turns into Raccoon Luigi and can swing his tail really hard! Comments : When the Super Mario Bros. get a smash ball at once, they become real big, bad, monsters!